Abuse in Texas Prisons Must End! For years Texas ex-Governor Rick Perry and Governor Greg Abbott have conspired together in order to cover up the abuse and murder of Texas prisoners. A shocking report has just been released which details the abuse of elderly and disabled prisoners housed at the Estelle Unit in Huntsville, Texas. The report was compiled by Erica Gamill, Kate Spear, and Attorney Brian McGiverin of the Prison Justice League. 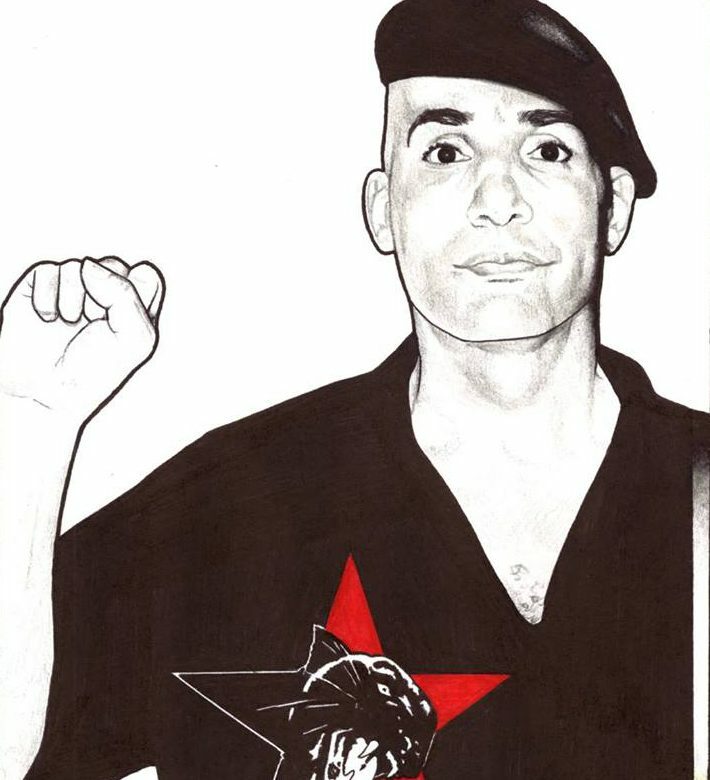 The PJL was founded in the summer of 2013 with the goal of protecting the human and civil rights of prisoners, and to give a voice to the voiceless prisoner who cries for help from inside the state’s many modern-day gulags and slave-camps. Attorney McGiverin, who also works for the Texas Civil Rights Project (headquartered in Austin), is the PJL’s Special Counsel. A major finding of the report is the inadequacy and incompetence of the staff who manage the Offender Grievance Program. Over and over again, these employees ignored the blatant “red flags” raised by prisoner grievances filed at the Estelle Unit and Estelle High Security Unit, which clearly showed a pattern of abuse being perpetrated against the most vulnerable prisoners. Yet time after time, the Administrative Review and Risk Management Department which oversees the Grievance Program failed to act. These revelations are shocking. The evidence presented in this report clearly highlights the need for Texas legislators to create an Independent Oversight Committee with the power to: 1) enter any Texas State Prison at any time unannounced, 2) conduct investigations, and 3) discipline, fire, or prosecute any employee found to have committed sadistic acts of abuse or moral turpitude. Abuse of elderly and disabled prisoners is just the tip of the iceberg in Texas. A new campaign has been initiated by the New Afrikan Black Panther Party (Prison Chapter) in Texas. It sheds light not just on abuse, but on the murder of Texas prisoners. We the members of the NABPP are calling upon our free-world allies to aid us in exposing these murders to the public. Our hope is to generate a public outcry that will encourage the Department of Justice and the FBI to conduct an immediate investigation into the corrupt and unethical practices of the Texas Department of Criminal Justice. There is evidence that TDCJ Executive Director Brad Livingston has condoned the mistreatment and abuse of Texas prisoners. In their book The Darkest Hour, Professor Betty Gilmore and human rights activist and Texas prisoner Nannon M. Williams report that between 2008 and October 1, 2012, disciplinary actions were taken against 932 TDCJ employees for using excessive or unnecessary force against Texas prisoners; however, only one of these was criminally sentenced for assault. This lack of accountability sends a message to prison guards that they are invincible and above the law. Who is responsible for allowing this problem to fester? The chief law enforcement official in Texas is the Attorney General, and the Attorney General from 2008 to 2014 was none other than now-Governor Greg Abbott. He can’€™t pretend that he was unaware of all this abuse and murders, because for each death in TDCJ, a Custodial Death Report form is filed by the office of the Inspector General and sent to the office of the Attorney General. Many of the deaths are from “use of force” by the guards. The usual victims in such cases are mentally ill prisoners housed in Ad-Seg/Solitary Confinement, far from the prying eyes of journalists or prisoner rights organizations. No one is watching. Prisoner Lives Don’t Matter in Texas! Texas leads the nation in state-sponsored murder, i.e. Death Penalty executions. Governor Abbott carries on the tradition of his predecessor Rick Perry while continuing to hide the identity of the compounding pharmacies that provide the lethal drugs. Recently A&E aired a program which detailed the case of Texas death row prisoner Rodney Reed. The program shed a discerning light on the injustice and unethical practices that are rife in the TDCJ. Rodney is a New Afrikan/Black man who has been on death row for 18 years. The Texas Court of Criminal Appeals recently agreed to hear an argument from Rodney’s defense team which asks among other things for DNA evidence to be tested that could very well exonerate Rodney! However, prior to this A&E special program, the appeals court denied pleas from Rodney’s defense team five times!! These people were prepared to execute an innocent man, and it would have happened on March 5, 2015 if not for the “light” of media attention and public scrutiny. In a civilized society it is unacceptable to treat the most vulnerable human beings in such a way and then to retaliate against them if they cry out for help. Medical neglect is rampant. Incarcerated U.S. Veterans recently requested Texas House Representative Sylvester Turner (D -Houston) to investigate the neglect and abuse they have suffered in TDCJ prisons. Imagine: the über-patriotic state of Texas, abusing Veterans! Since 2007, at least 14 Texas prison deaths have been caused by extreme heat during the summer months. Temperatures often reach 130 degrees in the brick-oven prison-buildings. The TDCJ kills human beings. We must expose the sadistic oppressors and create a national conversation about Texas. The Please Stop the Killing campaign is much bigger than prisoner deaths in Texas. We want to address the senseless killing of three beautiful Arab-American students in Chapel Hill, North Carolina, and the murder by police of LGBTQ people like Jessica Hernandez in Denver, Colorado. It’s about Trayvon Martin, Andy Lopez, Ranisha McBride, and the cartoonists in Paris at Charlie Hebdo! The situation in Texas is very serious; the world needs to grasp its gravity. Please get involved. It is 70 years since the prisoners at Auschwitz were liberated by Allied Forces. Listen to these words of Auschwitz survivor Halina Birenbaum: Today people do not really understand what was Auschwitz and that the evil continues. That evil has grown to people being decapitated with the whole world watching. I keep telling myself that if Auschwitz existed for years, anything is possible. I am a New Afrikan/Black man whose voice has been ignored and silenced by entities much more powerful than I. I humbly request you help me –“ stop the killing!